Apple’s new screen time controls are designed to help parents monitor what their kids are doing online, as well as set limits to how much time they spend in front of their phone or tablet. But less than a month after the debut of the iOS 12 update, there are reports of children as young as 7 years old finding creative ways around the controls – highlighting the ever-pressing need for continued parental vigilance. If you haven’t checked out the Screen Time feature yet, here’s the basic overview. Using Family Sharing, parents can monitor and control their child’s screen time from their own phone, as well as set a password that allows them to add more time once their child has reached the allotted amount. The update allows users to receive weekly screen time reports, schedule digital “downtime” during which certain apps are locked, and set restrictions on explicit content, purchases, downloads and privacy – among other things. 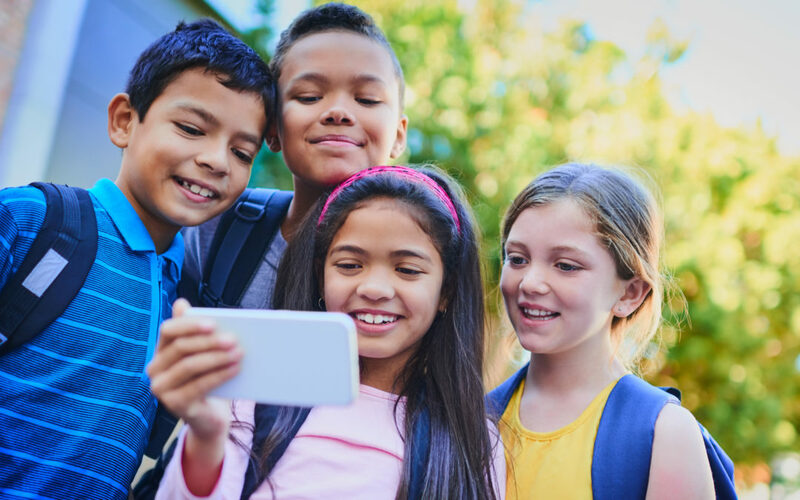 WebSafety partner and veteran police officer Clayton Cranford of Cyber Safety Cop put together a comprehensive, easy-to-follow breakdown on how to best utilize Screen Time and all of its features. You can find that post here. The idea is that if parents can control how and when their children use devices, they can curb the negative impact of too much screen time. But one father recently posted on an Apple Reddit feed about his young son’s ingenious method of getting around these controls. The post started a thread that has grown to nearly 500 comments – many from parents describing how their kids also found ways to cheat the system. One parent described how his child went into the YouTube app, sent himself videos using iMessage and then watched them later using the iMessages app. One teen found a way around the Downtime restriction just by manually changing the date and time on his phone. It’s worth mentioning that a quite Google search produced multiple YouTube “how-to” videos describing how to get around the controls, as well as articles and websites with similar instructions. Additionally, a recent Washington Post article highlighted the fact that Apple’s default settings allow kids to access NC-17 movies, books and shows with explicit content and unrestricted use of the internet, even when you’ve entered your child’s age into their account. WebSafety is designed to make navigating the digital world easier for both parents and kids alike. Our Block Screen Time feature allows parents to set a curfew that automatically locks your child’s mobile device during chosen time periods – perfect for bedtime, study time or any time. The feature also allows parents to lock their child’s phone remotely whenever, wherever. But we’d encourage parents to establish a set list of behaviors with their children that would result in an immediate lock down, so the child understands that screen usage is a privilege, not a right. One thing is clear – it’s important to stay involved and alert, even when using parental controls. Don’t just set restrictions, talk to your children about why it’s important to limit the amount of time we spend in front of a screen, and remind them that as you work together to respect the family rules, you’ll be developing healthy screen habits that will serve them well into adulthood.